Ever thought of a retirement life where you can spend your day conversing with like-minded people, watching the latest film in a state-of-the-art Media room within the residential complex, trying out the best of food in the dining hall and even having a concierge attend to all your requirements – all in a safe, secure and a welcoming environment? If yes, gated senior living communities are the answer to your prayers. As people age, our cities and homes are ill-equipped to handle ageing requirements. Also, with cases of crime against the elderly on the rise, senior living complexes are the order of the day. Social scientists are of the view that over the years there has been a drastic change in the mindset of senior citizens, with many of them aspiring for an independent, productive and active life even after retirement and prefer spending their golden years in the company of like-minded peers. In the year 2004 Ashiana launched its flagship senior living project in Bhiwadi. There has been no looking back ever since, with three completed projects, having 1600 seniors already residing in these communities, Ashiana Senior Living is one such community where old age does not mean the end of having fun and active life. The units comprise age-friendly designs and fittings along with the common areas,and scores of entertainment options for senior residents. Medical and yoga camps as well as spiritual discourses are a regular feature. To make sure that Ashaian’s senior living residents lead an active life, regular activities are organized by the Activity Incharge. Last year more than 1600 regular activities were conducted all across, where 800 residents participated actively. It is with this in mind, that they started with an annual event ‘Jashn – Senior Living Sports and cultural Festival’ where competitive events like chess, badminton, TT, walking, dancing, singing etc were held at Bhiwadi. Over 200 residents from all locations competed in 25 different sports and cultural events. The group has also been felicitated with awards for the best theme-based township one of them being the CREDAI Real Estate awards in 2012 and the Senior Living Project of the year for awards and recognitions Ashiana Utsav, Lavasa given by Realty Excellence Awards in 2014. The latest offering from the group is Ashiana Nirmay, which is also their second senior living project in Bhiwadi. Besides the services offered in other complexes, this project has a few upgraded features such has a concierge service, media room etc. Intellectual discourses in the library and sport activities on campus promise to keep the residents engaged. “The total number of units in this project is around 600. As many as 160 units have been launched as part of the first phase which we expect should be ready by December 2017” reveals Ankur Gupta, Joint Managing Director, Ashiana Housing Ltd.
On offer are 1/2/3 BHK apartments, which have age-friendly features such as grab rails, skid resistance tiles, arthritis-friendly fittings, etc. Other facilities include an activity centre, central dining hall, emergency response system in each flat, emergency care services, on-site ambulance temple and plumber/electrician on call. The group is also planning to leave its footprints in other parts of the country. Presently 2 senior living housing projects are under construction located in Chennai and Bhiwadi. Single gated entry with guards and intercom in each unit. Not residing with children was my choice. I chose Nirmay and I am very happy about my choice. The project meets all my specific requirement of my retired life. In a regular housing project, these specific needs can never be fulfilled. Good Project want to Purchase 2BHK Apartment.Plz provide full details!! Thank you for enquiring about Ashiana Senior Living in Lavasa, we have some units of 2 BHK apartments available in the price of Rs. 62 lacs - 73 lacs. For further details and site visit our executive will get in touch with you. Thank you for showing interest in Ashiana Utsav Bhiwadi, for assistance require to book trial apts. please contact Mr. Rajesh-7665543200. Every senior citzens aspiration is to lead as normal a life with safety n security so that our loved ones can persue their careers without worry. I am Ex Naval Officer and Ex Merchant Navy Captain settled in Lucknow. My wife (68 yrs) & myself (73 years) are senior citizens and staying in Lucknow. we would like to be apart of this system. How & when and where in Lucknow we can participate in your branch if you have. Thank you for showing interest, we do not have Senior Living project in Lukhnow. Presently we have Senior Living projects in Bhiwadi(Delhi NCR), Jaipur, Lavasa and Chennai. Sharing here a link of video- life at Ashiana Senior living https://www.youtube.com/watch?v=-YJkAKT_uzQ&t=50s. My wife & I are senoir citizens we would like to be apart of this system. How & when 7 where. do we do it. Thank you for showing interest in Ashiana Senior Living. Our project Ashiana Nirmay is located in Bhiwadi(Delhi NCR), you can plan a site visit, our executive will arrange an escorted site visit for you. You can also go through the link below to see life at Senior Living -https://www.youtube.com/watch?v=aLZTaP3NF1I. Thank you for showing interest in Ashiana Senior Living. Ashiana Nirmay is located in Bhiwadi(Delhi NCR) currently 85% construction work has been completed for Ph-1. We have options of 2 & 3 BHK are available in the price of Rs.43.42 lacs- Rs. 66.03 lacs. Plan a site visit to know more about the facilities & about the project.Our executive will contact you soon & assist you further. Presently we do not have Senior Living project in Gurgaon, presently we have Ashiana Nirmay Senior Living project in Bhiwadi which is located appx. 50 kms from Gurgaon. Please share if any assistance require regarding the project details or site visit. Wish to know the cost of living 2.Wish to know the cost of flat also. Thank you for showing interest, we have 2/3 BHK flats available in the price range of Rs.44 lacs- 67 lacs. For about project and other assistance our executive will contact you soon. Thank you for showing interest , our executive will call you and arrange a site visit for you. At Ashiana Nirmay we have 2/3 BHK flats available in the price range of Rs. 44 lacs - 67 lacs. Thank you for sharing your thoughts here, you are most welcome to be the part of Ashiana family. To know more about our projects and site visit, please contact Mr. Avinash-9982699981. Thank you for sharing your valuable suggestion with us. We will surely look into it and see how can we best incorporate it into our senior living projects. We would like to share with you that our seniors do indulge in various creative and art & craft activities at our senior living projects. Let me know project details. Thank you for sharing your comment. Ashiana Nirmay is located at Gate No. 1, Sector - 39, Near Thada Village, Alwar Bypass road, Bhiwadi, Rajasthan 301019. The price for 2bhk flats are: Rs 45.37 lakhs - Rs 50.38 Lakhs and for 3bhk flats are : Rs 56.2 Lakhs - Rs 69 Lakhs. Ashiana Nirmay has got an approx 20,000 sq. ft club house with gym, swimming pool, dining hall, media hall, billiards, music hall and much more. The flats have been designed keeping in mind the needs of seniors and have features like skid resistant tiles, arthritis friendly fittings, grab railsetc..
Ashiana Nirmay is guarded 24*7 by CCTV and trained security staff. Emergency response system are also present in flats and project. Daily activities are organized for the seniors to help them in leading an active lifestyle. There are walking tracks, swiiming pool, gym and much more to further assist in leading an active life. Thank you Mr. Shirdhankar for your kind words and appreciation. Do you have any project or plans for Goa ? Pl share details . Thank you for your query but we don't have any plans or project in Goa. 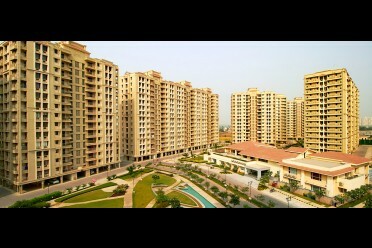 You can visit our website - www.ashianahousing.com to take a look at our various projects all over India. we are interested in ashiyana at lavasa mumbai,we would like to know the details .one request don't call/phone but only throgh e mails. I want to know everything about ashi anand. What is the total cost per person . Plz mail me the complete details . Thank you for your query. We have applied for the various approvals with the Government authorities. We have attained clearances on some of them, while a couple of them are still pending. As you are aware that the number and the kind of approvals are changing with time. Further, we are dependent on various Govt departments for their sanctions. We are liasioning with the Govt authorities for faster approvals. for any query please contact us at # 90310 13376. We will share the same details with you over mail also. I am in Mumbai. Senior citizens housing in Mumbai would be welcome. Ashiana Bhiwadi will be ok for people from Gujarat and Rajasthan side. Thank you for your query. We have got a senior living project in Lavasa called Ashiana utsav, which is approximately a 4 hours drive away from Mumbai. Thank you for your query Norma. Bhiwadi is situated in the state of Rajasthan. To view the exact location of Ashiana Nirmay in Bhiwadi, kindly click on this link: https://goo.gl/vHiqEp. Thank you for the appreciation Mr. Thaku. Would you be interested in knowing more about this project? out of the 3 locations , Lavasa is definately the best locatoion..for those near5 pune or5 Mumbai , ther5e cant5 be a better5 choice. apar5t5 being in sylvan , cool surr5oundings , Lavasa is socially ver5y act5ive and a popular picnic spot.. Thank you Ms. Rao for sharing your valuable feedback with us. It looks like you have been to Lavasa. How has been your experience here? Thank you for showing interest in Ashiana senior living projects. We have currently 3 senior living projects under sale- Bhiwadi (Delhi NCR), Lavasa (Pune) and Chennai. More than 1600 seniors are enjoying their retired life in our completed senior living projects at Bhiwadi (Delhi NCR), Jaipur and Lavasa (Pune). We request you to plan a visit to your interested location to see physically how senior living projects are different from general housing. We also have trial home facility if you like to stay and experience the ambience & the facilities. Our executive will call you to understand your requirements and will guide you properly. I WANT TO KNOW THAT HOW WE CAN JOIN ASHIANA . WHAT IS BASIC RULES & CHARGES. WHERE IT IS. Thank you for showing interest in Ashiana. You can buy or rent our properties to join Ashiana community. Our executive will call and give you details about the charges and other details.